And we are using the ACT® WorkKeys National Career Readiness Certificate to prove it. The ACT® WorkKeys certificate demonstrates a job candidate’s work readiness for an occupation that has been scored using the ACT® WorkKeys System. It demonstrates that they can walk into a job that aligns with their score and have the foundational skills to be trained on the technical aspects of that job. Ready to learn more? Click "Job Seekers" or "Employers" to get started. Find out how ACT® WorkKeys can help you land the perfect job or help you land a promotion. Find out how to make your hiring process more efficient and cut down on turnover. 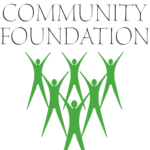 THE NORTH LOUISIANA READY2WORK INITIATIVE IS SUPPORTED BY FUNDING FROM THE COMMUNITY FOUNDATION OF NORTH LOUISIANA.